SOFITCO specializes in providing premium fitness equipment created by the industry’s top manufacturers and offers first-class service including design, installation, maintenance and consultation to maximize the potential and impact of your fitness center. Plus, we will work to meet your goals and budget considerations in determining equipment priorities for your facility followed by creation of a digital design to visualize your finished fitness center. Along with our fitness products, we will also assist in determining your audio/visual equipment needs and placement. Once all of the design aspects are complete, SOFITCO will develop your custom design and assist you with ongoing service and maintenance of your fitness center. First, we meet with you and discuss your goals, objectives, and budget. Then, we look at the space and existing layout. If you’re re-equipping your existing facility, we’ll look at what fitness equipment you already have and determine what should be repaired or replaced. If your facility is all-new, we’ll collaborate with you and/or your team to determine short term and long term needs and then plan for them. We will also help educate you on the newest and hottest fitness trends, products and programs as well as help you anticipate the needs of your clients and plan for the future needs and growth of your facility. We can even help you find used and refurbished fitness equipment. The SOFITCO team can help you every step of the way, no matter if you’re re-designing an existing fitness center or equipping a new build. We help determine the appropriate space, fitness equipment, and infrastructure requirements for your facility. Of course, we team up with your staff, as well as with your architectural designers. SOFITCO will work to create a digital design to help you visualize your finished fitness center and make sure you have appropriate amount of equipment for your facility size and client base. SOFITCO understands the needs of fitness centers and can help you arrange equipment leasing and financing options. We work with several financial companies that specialize in leasing and financing of fitness equipment. A variety of programs are available. A member of our SOFITCO team will work with you to come up with a solution that meets the needs of your business operation. 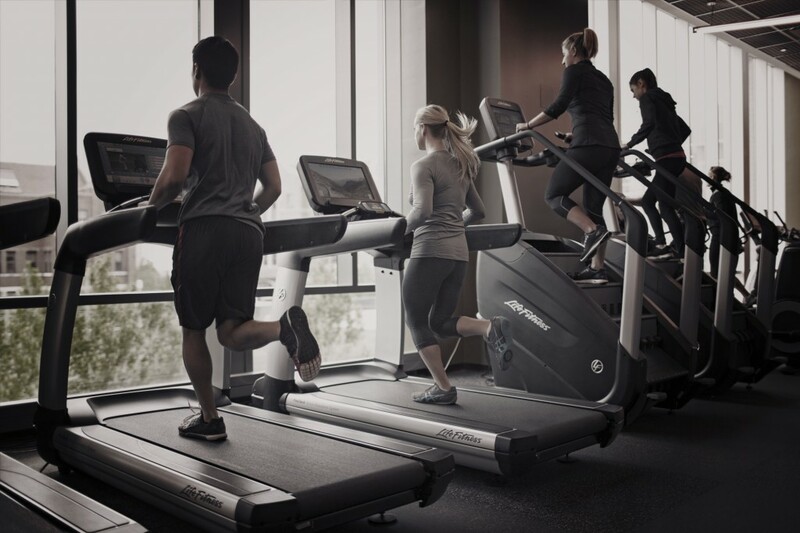 SOFITCO’s preventative maintenance program is designed to keep your equipment in the best condition possible, with a specific plan that provides your fitness facility with a regular servicing schedule. Preventative maintenance will help extend equipment life span, decrease equipment downtime, and provide your clients will well-tuned fitness equipment. Tap into all of our SOFITCO services. Contact us today.